Description: Ultimate Verve reissue series by Analogue Productions! Individually numbered, limited edition 200 gram, 45rpm 2LP Set! Mastered by George Marino at Sterling Sound from original analog master tapes! 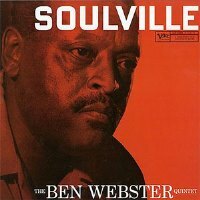 This is a classic jazz album that features Ben Webster in top form with a stellar quartet of Oscar Peterson, Herb Ellis, Ray Brown and Stan Levey. One of the most popular among his vast discography, this album is a treasure to be enjoyed by all jazz fans! Recorded in Los Angeles, October 15, 1957. Mono. Originally released by Verve in 1957. This vinyl reissue released by Analogue Productions in 2013.